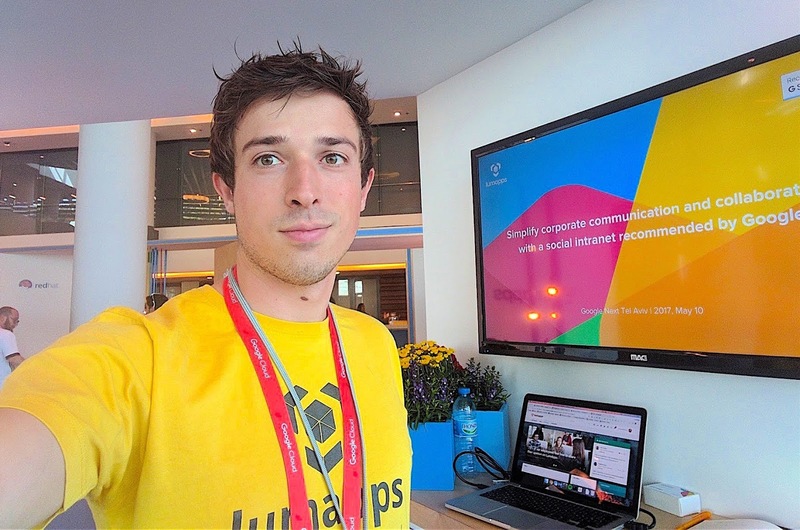 On May 10 2017, our very own Florian Mithieux was in Tel Aviv, flying the LumApps flag. As Customer Solution Engineer, he met with local digital professionals and exchanged with fellow Google Cloud Partners, in the context of a promising Israeli tech industry. Thanks to a steadily growing IT scene, Tel Aviv is now regularly called the Silicon Valley of Israel. Many local start-ups swear only by Tel Aviv, a dynamic city prone to strong innovation policies. Such a stellar reputation is no wonder, considering its status as the country’s financial, commercial and communications center. 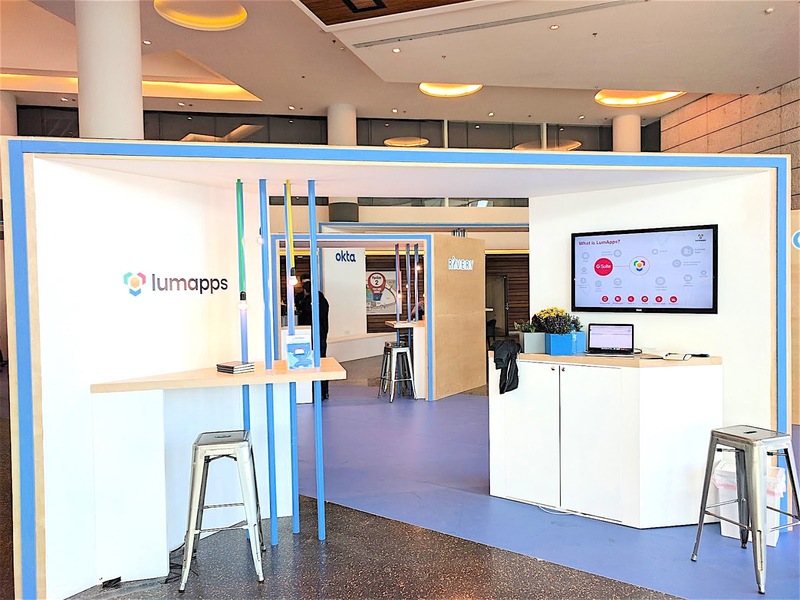 Google Next 2017 was held at the Tel Aviv Convention Center, where people could navigate between Partner booths for info and demos, including your very own LumApps. Forming a tight-knit community, Israeli tech professionals have been meeting at these types of events for years and friendly run-ins are not uncommon, likening this business conference to a joyful get-together. 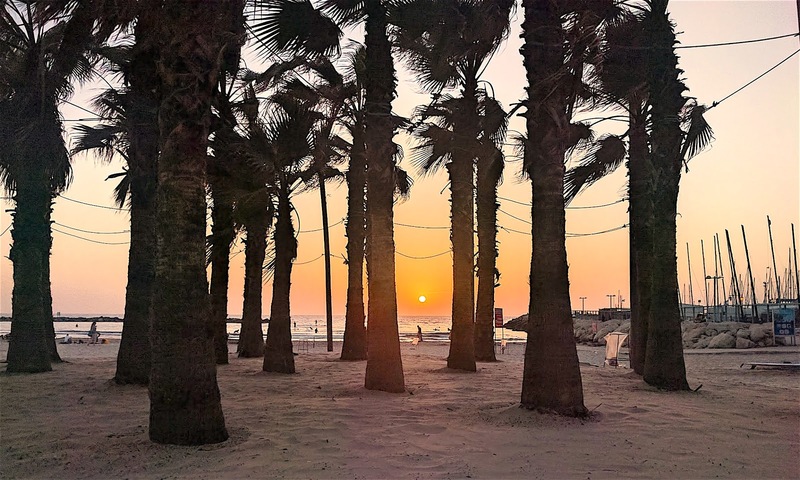 Also known as a tourist resort, Tel Aviv is famous for its luxurious hotels and night-life scene. It’s hard not to enjoy these professional events, especially with the tasty food, nearby sunny beaches, palm trees and rooftop pools! 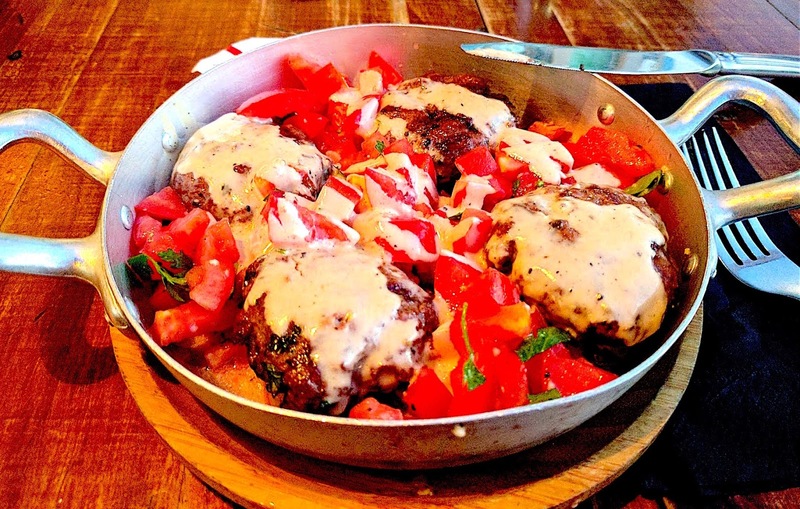 Florian gladly took advantage of such amenities, including local food. 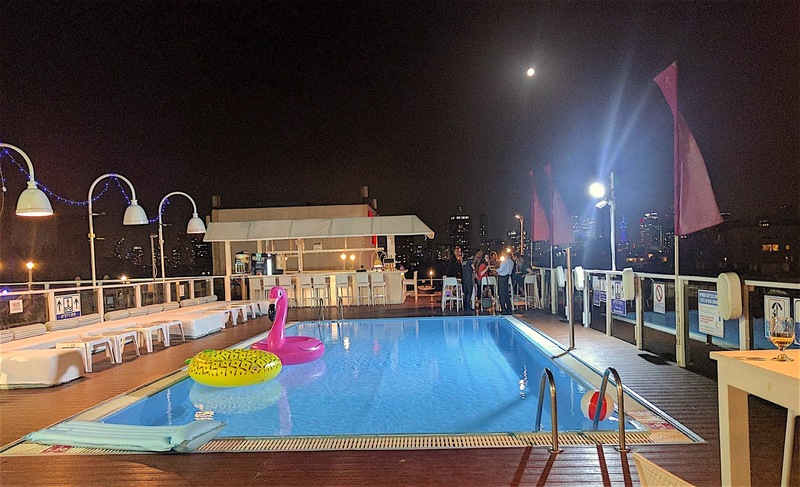 He attended the Google Pool Party, held that night on the Leonardo Art Hotel Rooftop. Google Next Tel Aviv buzzed with a vibrant atmosphere as companies and their representatives milled about, looking for innovative Google Cloud Solutions. 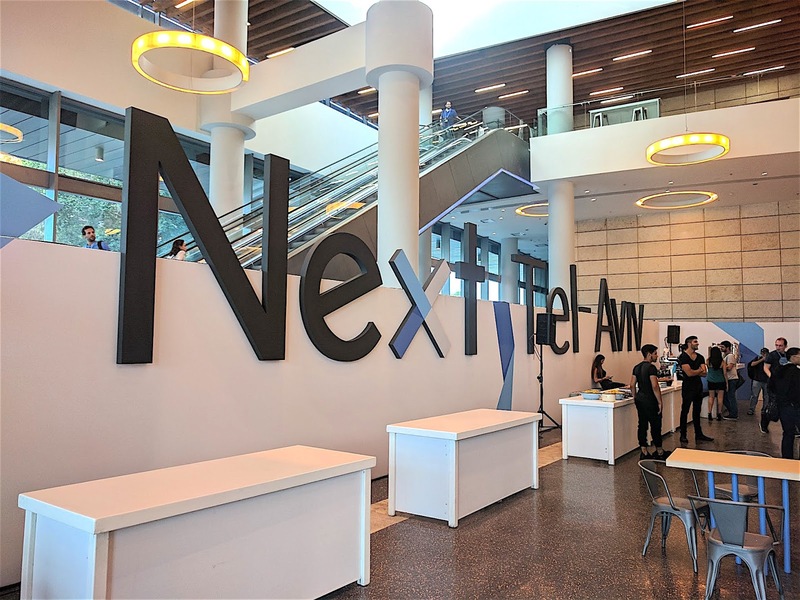 The event drew large numbers, including many Google customers, as approximately 3 out of 5 companies met on site said they were already Google Apps clients. All in all, attending professionals proved to be very curious and favorable toward cloud solutions, including LumApps, leading to enthusiastic exchanges and many new contacts. Furthermore, the event enabled Florian to strengthen relations between Lumapps and Google, as well as fellow Google Partners, opening the possibility for future collaborations. If all of this looks fun, it’s because it is! Sign up for upcoming events to meet us in person, during the rest of our world tour with Google Next ’17.